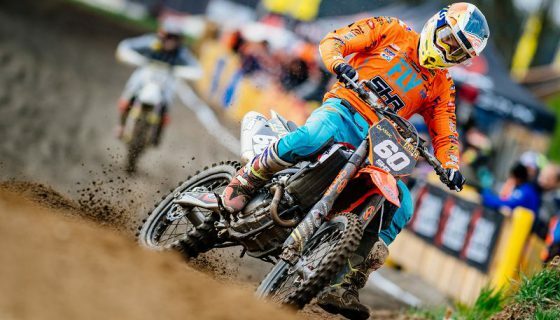 Herlings and Covington Fastest in French Qualifying. The MXGP of France is off to a massively successful start, especially for Red Bull KTM Factory Racing’s Jeffrey Herlings and Rockstar Energy Husqvarna Factory Racing’s Thomas Covington as they won their respective qualifying races. Aside from the amazing riding from the two winners the event itself was full of amazing fans who filled the French hillside to watch the Qualifying actions. The weather was predicted to rain but the mother nature instead provided sunshine and blue skies along with warm temperatures. The redesigned track and its conditions where in top shape with deep lines and technical sections challenging the top riders. 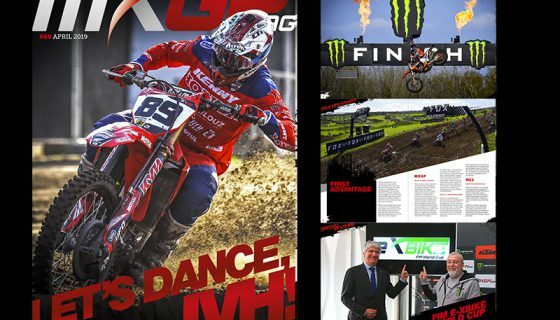 Joining the MXGP and MX2 racing this weekend is the classes of EMX250 and EMX125 presented by FMF Racing. Due to a massive number of rider entries both classes had to be split into 2 groups for Free and Time Practice then each had a Last Chance Qualifying Race. 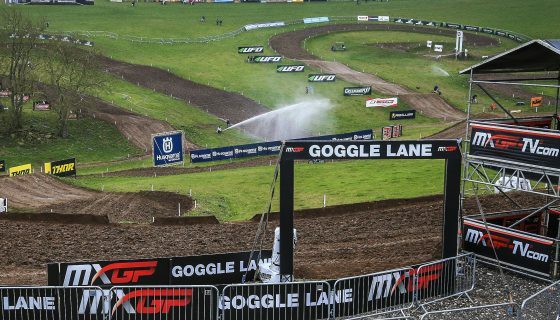 The 40 top riders lined the gate for Race 1 of EMX125 presented by FMF Racing first. Leading from the beginning and never looking back was France’s Thibault Benistant on his Yamaha Europe EMX125 machine. Benistant’s lead was massive throughout the race but the battle for second was between 3 or 4 riders at any given point. Taking second place after running in 4th the early stages of the race was the red plate holder, KTM Junior’s Rene Hofer. Taking the 3rd spot was Yamaha Europe EMX125’s Rick Elzinga just ahead of Team Maddi Racing Husqvarna’s Mattia Guadagnini. The final race of the day was that of the EMX250 class where Honda Redmoto Assomotor’s Mathys Boisrame held off his fellow French competitors. First BUD Racing Monster Energy’s Brian Moreau was second but he fell back letting Tom Vialle take over the runner up spot. 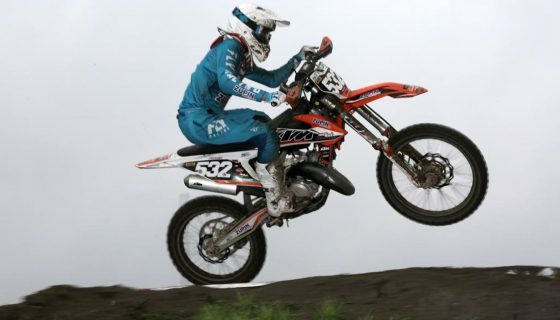 Finishing third was ASTES4-TESAR Yamaha’s Roan Van de Moosdijk which made him the only non French rider in the top 5. MXGP’s Qualifying Race hosted another dominating performance from Red Bull KTM Factory Racing’s Jeffrey Herlings. Choosing to line up on the furthest inside gate, after scoring the fastest lap time in both Free and Time Practice, Herlings took the holeshot and set sail. 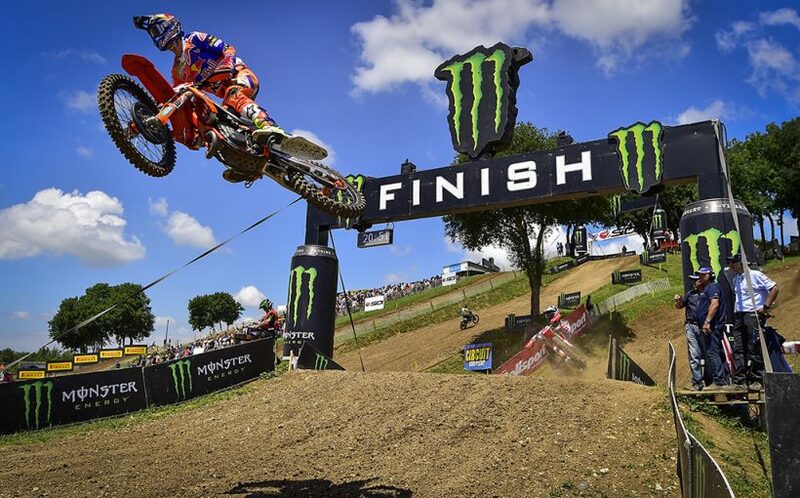 Herlings led every lap of the 13 recorded and won by 17.9 seconds. Though Herlings was on his own the battle for 2nd was on between 4 of the best riders in the world championship. Leading the group of 4 was Rockstar Energy Husqvarna Factory Racing’s Gautier Paulin. Paulin was massively improved after today compared to a week ago. With the roar of the French crowd behind him Paulin managed a small cushion between himself and those giving chase. First of the riders in pursuit was Team HRC’s Tim Gajser but just behind him was the former world champion and French fan favorite, Monster Energy Yamaha Factory MXGP’s Romain Febvre. Febvre, with the added pressure of Red Bull KTM Factory Racing’s Antonio Cairoli giving chase, pushed his way past Gajser on lap 9 after great battles. Cairoli, who had a collision between himself and Monster Energy Kawasaki’s Clement Desalle followed the moves of Febvre to take another position from Gajser on the following lap. Desalle eventually finished the MXGP Qualifying race in 19th. Cairoli would however take third from Febvre on the final lap and close onto the back wheel of Paulin at the finish. Also having a strong Qualifying race was BOS GP’s Evgeny Bobryshev with a 6th place. MXGP Qualifying Race Top Ten: 1. Jeffrey Herlings (NED, KTM), 24:35.251; 2. Gautier Paulin (FRA, Husqvarna), +0:17.990; 3. Antonio Cairoli (ITA, KTM), +0:19.988; 4. Romain Febvre (FRA, Yamaha), +0:27.922; 5. Tim Gajser (SLO, Honda), +0:34.999; 6. Evgeny Bobryshev (RUS, Suzuki), +0:45.959; 7. Jeremy Seewer (SUI, Yamaha), +0:46.320; 8. Jeremy Van Horebeek (BEL, Yamaha), +0:50.508; 9. Max Anstie (GBR, Husqvarna), +0:51.783; 10. 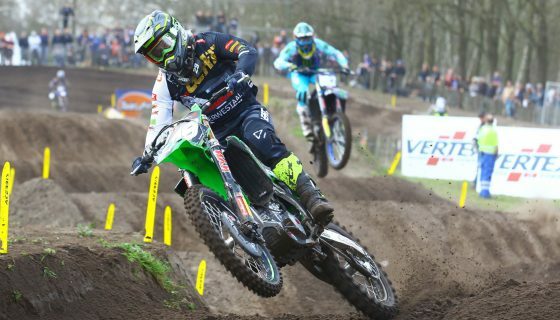 Tommy Searle (GBR, Kawasaki), +0:51.920. Breaking up the KTM party at the front of the field today was Rockstar Energy Husqvarna Factory Racing’s Thomas Covington. Covington, who had a strong start to the race in 3rd, by the end of lap 1 was into second past the fast starter of Henry Jacobi on his STC Racing Husqvarna. Leading on from the end of the first lap was Red Bull KTM Factory Racing’s Jorge Prado. Prado, now known for his strong starting ability, was just alongside Jacobi in the first turn but Jacobi’s line uphill prevailed at first. 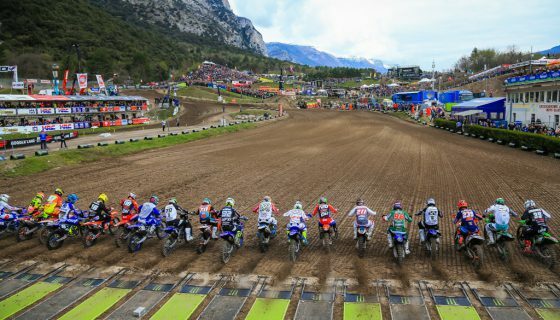 Among the most notable action on the start was the 3 rider crash involving Rockstar Energy Husqvarna Factory Racing’s Thomas Kjer Olsen, Kemea Yamaha Official MX2’s Ben Watson, and LRT KTM’s Davy Pootjes. All three took a minute to go again but each rejoined the racing and came through the pack. Olsen recovered to 13th, Watson to 12th, and Pootjes to 20th after another scare on lap 10 cost him a handful of positions. Back at the front Red Bull KTM Factory Racing’s Pauls Jonass was giving chase to Covington who in turn was looking for a way around Prado. On lap 7, just before coming down the middle section of the track, Covington took the lead from Prado and by the bottom of the hill Jonass was around his teammate also. The remaining 6 laps Jonass chased Covington and even made some stabs at the leader but none were successful. Across the finish line it was Covington from Jonass, Prado, Jacobi, and Hitachi KTM UK’s Conrad Mewse who made a last lap turn pass on Team Diga Procross’ Iker Larranaga for 5th. Thomas Covington: “I just really have to focus on my start tomorrow like Jeffrey said and we worked really hard this week to try and improve the bike off the gate, we have just really been working on starts this week and I think it is going to show”.